In the past decade, several major incidents – the Deep Water Horizon oil spill in the Gulf of Mexico, a series of devastating hurricanes and ensuing floods, and the Japan Tsunami have turned our collective attention to the vulnerability of the world’s coastal infrastructure. Furthermore there have been significant demands for an increased emphasis on port and harbor security, and on coastal observational networks. A combination of strong scientific knowledge in the marine sciences and engineering skills are needed to address these concerns in a rational and responsible manner, and to prepare coastal communities for a changing climate. 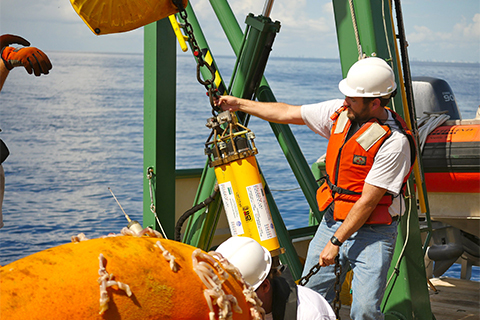 The College of Engineering and the Rosenstiel School of Marine and Atmospheric Science are offering a joint program that leads to a non-thesis MS degree in Ocean Engineering. The program has two tracks: remote sensing and maritime security, and a coastal engineering focused track. These tracks build upon the unique world class resources available through the CSTARS (http://www.cstars.miami.edu/) satellite receiving facility and the SUSTAIN wind-wave laboratory.